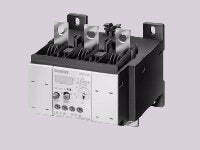 Siemens Sirius: stocking distributor of relays, contactors, motor protectors, limit switches, fuses. 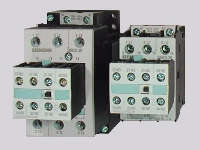 We maintain a complete inventory of Siemens relays, contactors, circuit breakers, motor protectors, limit switches, etc. - for immediate shipment. Standard contactors up to 75 horsepower in new compact sizes. 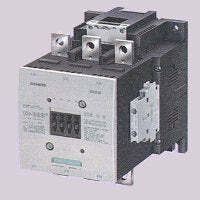 See our catalog page for Siemens Sirius motor starter contactors and photos. Click here for dimensions & technical information. Click here for Replacement Coil kits and photos. Click here for Contactor Repair Kits and photos. Click here for RC & Varistor Suppressors and photos. 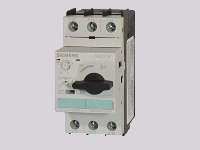 These class 10 overload relays plug-in to the contactors shown above and can also be mounted separately. Siemens Sirius 3RU1116 plug-in overload relays for 3RT101 contactors and photos. Siemens Sirius 3RU1126 plug-in overload relays for 3RT102 contactors and photos. Siemens Sirius 3RU1136 plug-in overload relays for 3RT103 contactors and photos. Siemens Sirius 3RU1146 plug-in overload relays for 3RT104 contactors and photos. Larger Sirius contactors are available up to 400 horsepower. "Vacuum bottle" versions are also available for greatly increased lifespan. See our catalog page for Siemens Sirius larger motor contactors and photos. See our catalog page for larger sized electronic overload relays and photos. Sirius control relays are available in a new compact 4-pole format, with snap-on heads to provide 8-pole versions. 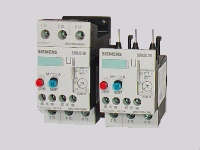 See our catalog page for Siemens Sirius control relays and photos. Sirius motor circuit protectors provide complete motor protection. They consist of a circuit breaker device with thermal and magnetic trips, plus a built-in adjustable motor overload. See our catalog page for Siemens Sirius 3RV1011 Motor Protectors and photos. See our catalog page for Siemens Sirius 3RV1021 Motor Protectors and photos. See our catalog page for Siemens Sirius 3RV1031Motor Protectors and photos. See our catalog page for Siemens Sirius 3RV1041 Motor Protectors and photos.